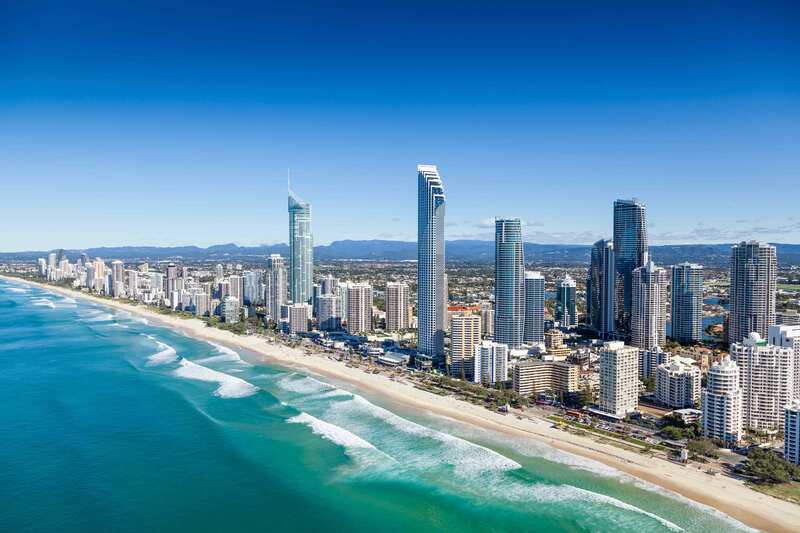 Gold Coast Queensland Australia is known for being an action-packed holiday destination. Whether it is the theme parks, attractions, tours or shopping all day long, there is something for everyone. And if it's a little peace and quiet you're after, the famous Hinterland region is only an hour's drive away, and includes many World Heritage sites, such as Fraser Island, and Gondwana Rainforest. You’ll be treated to wonderful scenic views, great local and international cuisines, quiet picnic spots, great shopping destinations, bush walking and bird watching, natural swimming environments, and exciting 4WD day tours. So what are you waiting for? Come to the Gold Coast today! With miles of sandy beaches, lush rainforest vegetation, world-renowned golf courses, and exciting theme parks, the Gold Coast is Australia's premier tourist destination. With every conceivable kind of accommodation, from 5-star hotels to family-owned beachside apartments and villas, you'll be able to stay in the style you deserve, and at the price you want. Stay in our Gold Coast accommodation and you can be close to all the main events that people flock to the Gold Coast to see. Whether its SuperGp Car Racing, Magic Millions Horse Racing or Surf Lifesaving Championships, you will be able to find the right accommodation. The city consists of 57 kilometres of coastline with some of the most popular surf breaks in Australia including, South Stradbroke Island, The Spit, Main Beach, Surfers Paradise, Broadbeach, Mermaid Beach, Nobby Beach, Miami, Burleigh Beach, Burleigh Heads, Tallebudgera Beach, Palm Beach, Curruminbin Beach, Tugun, Bilinga, Kirra, Coolangatta, Greenmount, Rainbow Bay, Snapper Rocks and Froggies Beach. Duranbah beach is one of the worlds best known surfing beaches and is often thought of as being part of Gold Coast City, but is actually just across the New South Wales state border in Tweed Shire. There are also beaches along many of the Gold Coasts 860km of navigable tidal waterways. Popular inland beaches include Southport, Budds Beach, Marine Stadium, Currumbin Alley, Tallebudgera Estuary, Jacobs Well, Jabiru Island, Paradise Point, Harley Park Labrador, Santa Barbara, Boykambil and Evandale Lake.